On this tour, I would like to introduce you to another jewel in Prague Jewish Town. 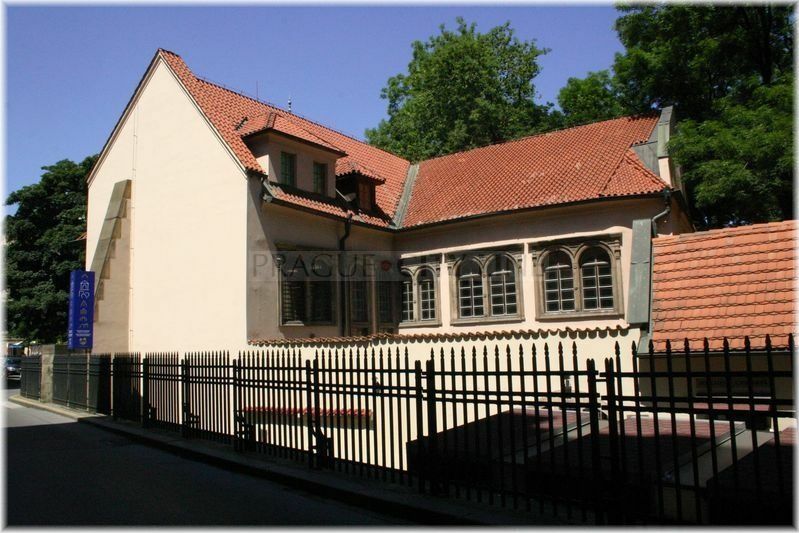 The Pinkas Synagogue (czech Pinkasova synagoga) is situated directly in the centre of the town, in a quarter called Josefov. 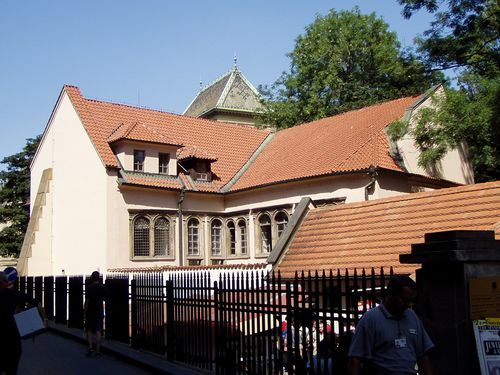 We will enter the synagogue with an L-shaped layout through its main entrance from Široká street. The Pinkas Synagogue is the second oldest synagogue in the Jewish Town. 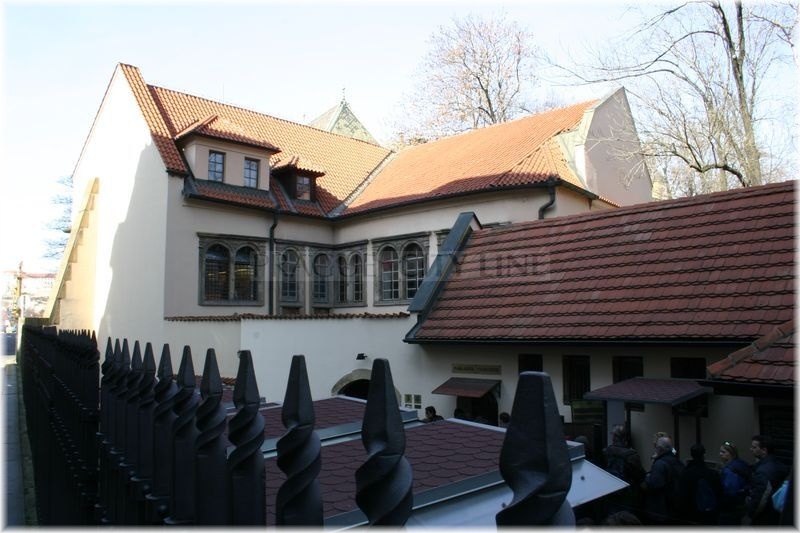 Its origina dates back to 1535 by request of Aron Mesultam Zalkan Horowitz, one of the most prominent and wealthy members of the Prague Jewish Community. Horowitz had it built as a private chapel for himself and his family. His grandson, Rabbi Pinkas Horowitz, gave the building name “Pinkas School”. The sacred building was originally used for family private purposes however, later it was rebuilt into a bath-house and a public synagogue. 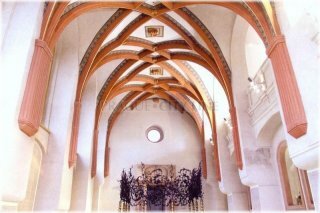 The building was built in a late Gothic style and shows significant, early Renaissance construction elements. 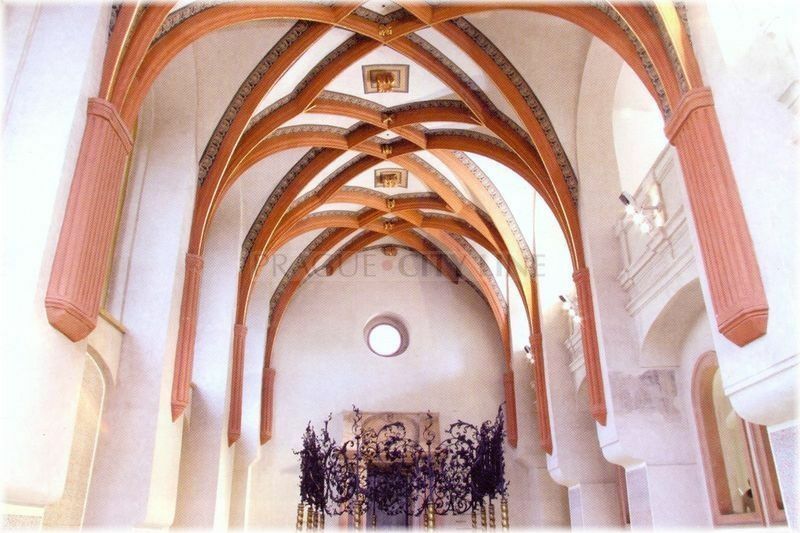 Every visitor must be captivated by the well-preserved ceiling tracery vault in the main nave. Other rooms have Renaissance vaults. Windows with stone traceries and walls are supported with hefty pillars. In the early 17th century, the master builder Juda de Herz annexed a new wing to the synagogue with an upper balcony for women, then an entrance hall and also a new vestibule. The synagogue was frequently troubled with floods. After the great flood in 1860 actions were taken to solve this problem. Soil was brought in to raise the floor level by 1.5m. 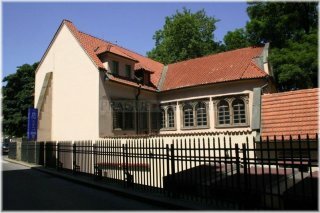 In 1925, the Pinkas synagogue underwent another extensive reconstruction and it was recommended that the extra soil should be removed. For, up to this day unexplained, reasons the soil was not taken out until 1950s. This reconstruction, as it is quite usual for reconstructions, uncovered new rooms. Remnants of a bath-house were found underground and upon these findings archaeologists believe that it used to belong to the synagogue builders – the Horowitz family. The reconstructions works were finished in 1959 and interiors were made into a Memorial for Holocaust Victims from Bohemia and Moravia. In 1968 the Memorial was partially destroyed due to groundwater. We may speak of an accident, it might have been a destiny, but thanks to extensive digging works carried out to save the building, new underground rooms were discovered along with an old well. The works were not finished until 1990. The countless number of unique and rare items which can be seen in Pinkas synagogue includes the indexes of names of Czech and Moravian Jews who died during Nazism. Over 80 000 names are hand-written on the walls in the bottom part of the synagogue. This list was compiled from card indexes drawn up shortly after the war from preserved transport papers, registration lists and survivors’ accounts. The names are presented in alphabetical order according to cities of the last address traced prior to their deportation. If family relations were successfully ascertained, the names of victims are written next to each other. In August 2002, Prague was hit by a great flood which, unfortunately, affected the Jewish Town, too. The flood badly damaged the building as well as the interiors. Water flooded the main nave and the synagogue hall and rose up to 1.3 metre above the ground floor. The underground was flooded completely and ruined. Inscriptions on the walls were damaged considerably too. 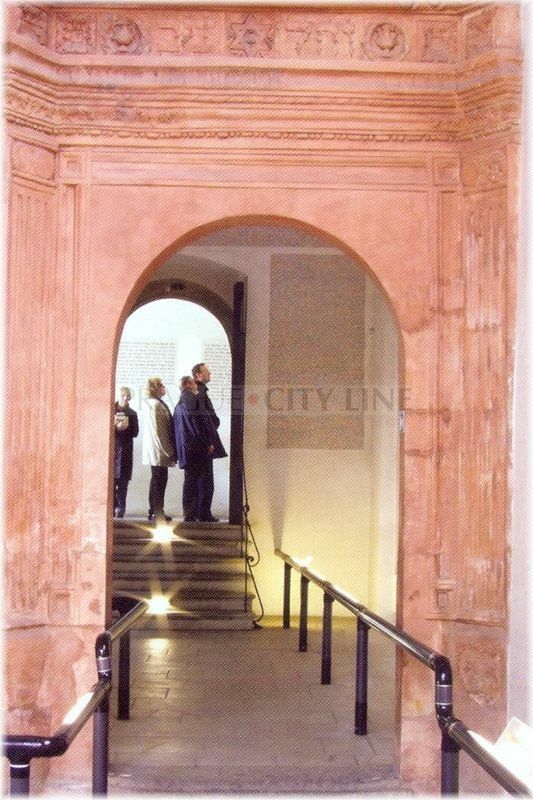 The tour of the Pinkas Synagogue is special also thanks to the permanent exhibition on the first floor. 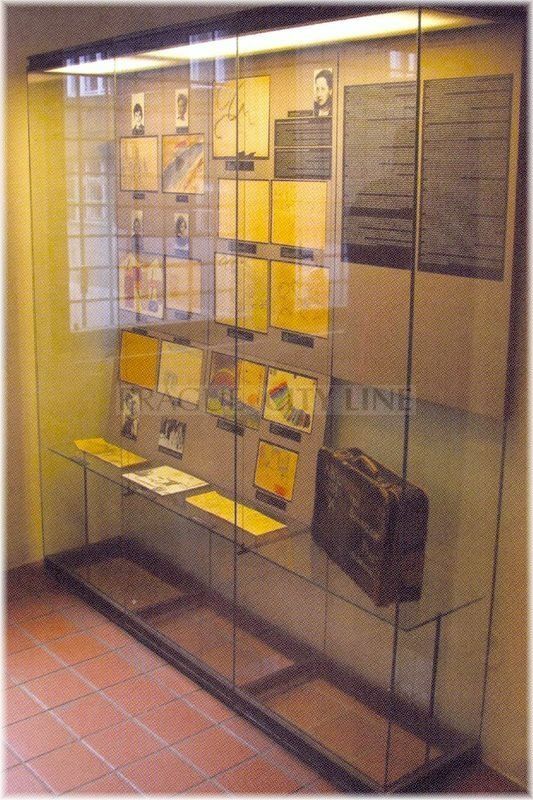 There are Children`s Drawings from Terezin, 1942 – 1944Terezin. 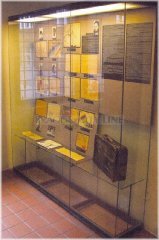 Among Terezin prisoners were over ten thousand children who hadn’t reached the age of 15 at the time of their imprisonment. These pictures document life in the camp and the children’s feelings, anger and helplessness. The Museum collection includes over four thousand original drawings from these children which top the tour with the wave of emotions and help us muse on the atrocities committed in the past.